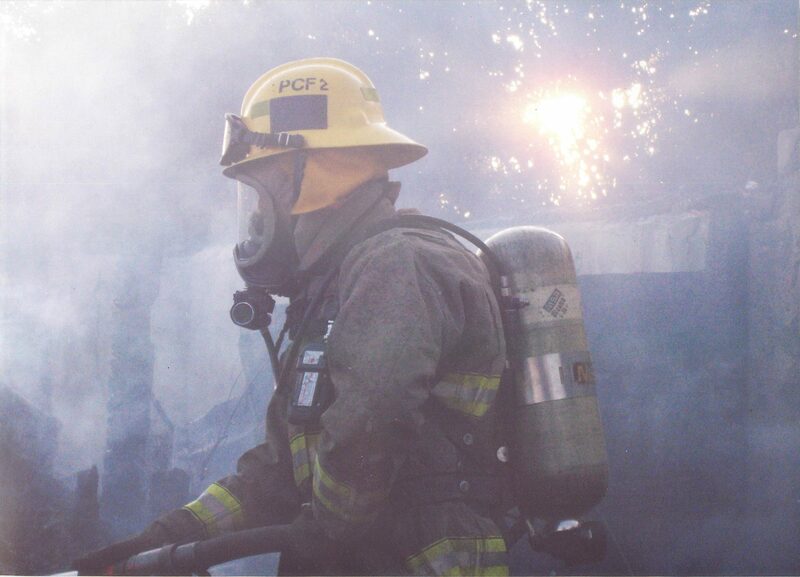 The Fresno County Fire Protection District employs a professionally trained career workforce, through a Cooperative Agreement with CAL FIRE to administer and staff its facilities. To accomplish the mission and follow the vision established by the Board of Directors and the Fire Chief, a staff of highly motivated, dedicated and well trained Paid-Call Firefighters, compliment the over all work force. These PCF Company members work under the leadership of CAL FIRE career staff, serve the Fire District as members of a Fire Company which most generally serves a specific community within which the Company member resides. While the Fire District maintains a Career staff of professionally trained firefighters at nearly all of its fire stations, some are staffed solely through utilization of a Paid-Call Firefighter staff. In addition, the Paid-Call Firefighter Program adds personnel to an already staffed fire apparatus, in order to provide an augmentation of staff for each emergency response. This Program is administered by a CAL FIRE employee and serves the entire Fire District. The general public is unable to differentiate between Career and Paid-Call Company members. Therefore, the responsibility is equal to that of all Firefighters who serve in the Fresno County Fire Protection District. All Company Members are required to meet and maintain established minimum standards of physical fitness, personal discipline, training and emergency response. Accepting an appointment as a PCF, is the acceptance of responsibility to serve as a Firefighter of the Fire District and expresses a commitment to meet and maintain the minimum standards required by any Firefighter serving in the State of California. Each individual should take pride in the services they provide to their Community and should strive to perform at the highest level of proficiency and professionalism. Form FCO-10 -- PCF Physical Mental Stress Job Desc.